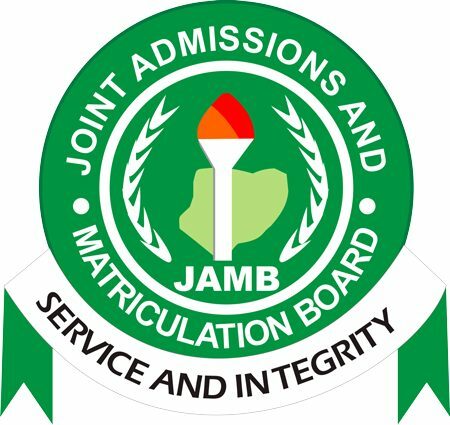 THE Joint Admissions and Matriculation Board,JAMB,has explained that it extended the sale of its 2019 Universal Tertiary Matriculation Examination, UTME, for the federal government to formally approved the N3,500 it has reduced it to. It further explained it picked next year for registration of UTME candidates because it wanted the reduction in the cost of selling its forms approved by the Federal Government to take effect. Chairman, JAMB Governoning Board, Dr. Emmanuel Ndukwe, disclosed these at an event to celebrate some staff of the board who retired recently in Abuja. Although he commended the government for approving the reduction, Dr. Ndukwe said it would affect the amount that JAMB would return to the federal government next year. “it is a very good move from the federal government based on our recommendation. We recommended to the federal government. Even though we are returning money to the coffers of the federal government, our primary objective is not just to make money because that money is coming from somewhere and it is difficult for some people to raise that money and pay for JAMB form even though JAMB form is among the cheapest in the whole world. “Considering the spirit of president Muhammadu Buhari, he is a man of the people. Whatever he will do in the interest of the masses he will do it. So he graciously accepted the recommendations from JAMB management and board to reduce the price and that will also reduce the amount of money that JAMB will return to the coffers of the government from next year but it is good for the general good of the populace,”he said. “As we were in the board meeting, admission were still going on. On the screen we were seeing it. It is changing by the minute,” he said. Dr. Ndukwe said the board will fully implement the Central Admission Processing System (CAPS). “We are looking forward to the full implementation of CAPS. That is the best thing that will happen to education in Nigeria. If any child is qualified, central admission processing system will guarantee that that person is admitted. People should be patient and pray as we are implementing CAPS, let is come into full operation from 2019.